These aspects are thematically grouped and clearly structured by work tasks and correspondingly organized into 5 closely interacting work packages, supported by 2 strategic work packages. Basic idea: While the Semi40 technologies and solutions are developed and implemented in WP1-4, WP5 investigates the economic, financial, social dimensions and impacts of the technological advances. 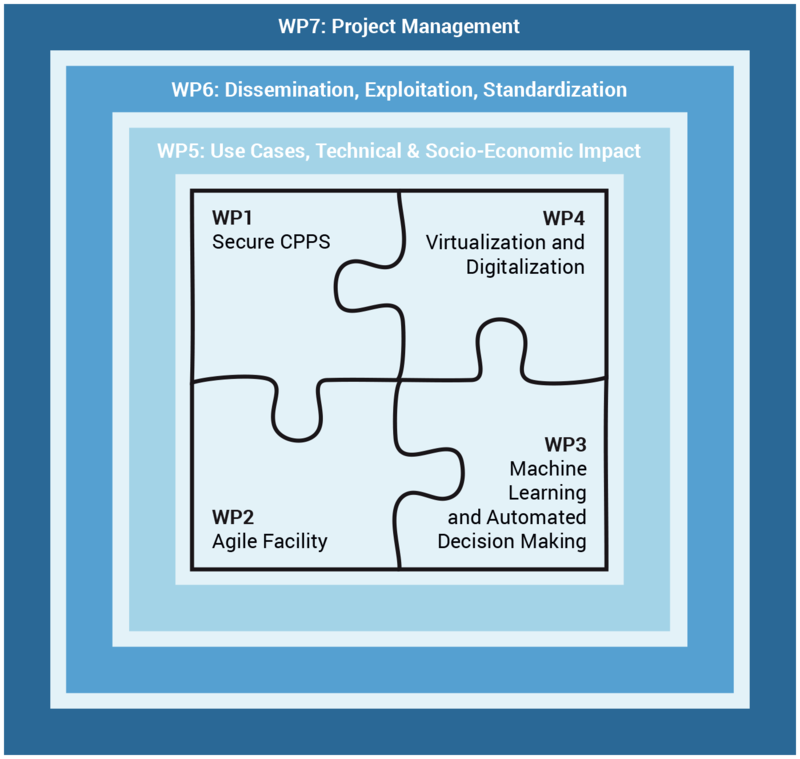 WP6, dissemination, exploitation and standardization, provides the background to make the results public and ensures exploitation of results in and for European industry and research. Project management and risk mitigation WP7, summarizes all coordination and management activities. The aim is to provide efficient project structures to manage resources and results according to the project plan and ensure exploitation by continuously mitigating the risk which might come up. The following figure illustrates the shell model of the SemI40 work package structure. The structure and the cooperation model selected are well aligned toward the objectives of SemI40 project and optimally support the electronics components and systems manufacturing eco System.